Laserfiche enterprise content management (ECM) software has been selected as a University Business 2016 Readers’ Choice Top Product. The awards program recognizes products that enable excellence in higher education. The winners were compiled from hundreds of nominations from the magazine’s readers over the past year. “We’re delighted that the tech-savvy readers of University Business recognize that Laserfiche’s scalable software provides significant value to colleges and universities of all sizes,” said Linda Ding, Senior Education Program Strategist at Laserfiche. 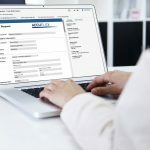 “Easy-to-configure forms, workflow, digital signatures and other intuitive Laserfiche features are designed for higher ed leaders to deliver student and administrative services better, faster and more affordably than ever before,” she said. The complete list of top products has been announced in the January issue of University Business Magazine.